You have magic. One sentence, three words, four syllables. Enough to change my life forever. And I'm not talking about the whole spells and sorcery thing. Lexie Carrigan thought the weirdest thing about her was she preferred watching documentaries and reading the newspaper to reality TV and Twitter. But on the eve of her 15th birthday, her aunt and sisters drop a bomb - she's magical. Now the girl who never made waves is blowing up her nightstand and trying to keep from wreaking havoc on her school. Since she was a little girl, everyone - from her father to the Great Creator himself - told Lyssa Peate the same thing: she's worthless. 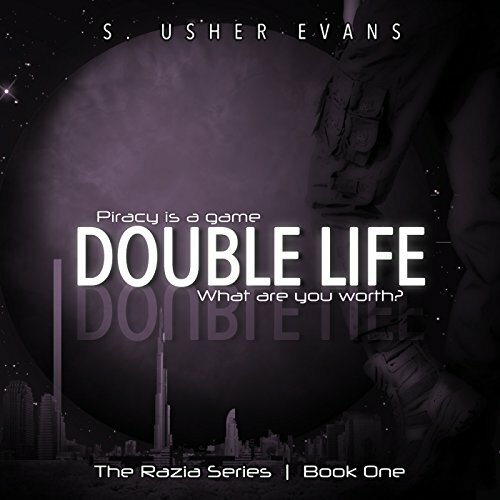 But when she becomes the pirate bounty hunter Razia, she can see the price tag on her own head. Employed by one of the four pirate syndicates, she uses bank transactions and her considerable wits to capture rival members. At least, she would be if Razia's boss ever gave her a chance. It's a man's world, and all she's allowed to hunt are purse snatchers while she languishes on probation. To pay the bills, she's stuck in her old life as Lyssa, discovering and analyzing distant planets and selling them for cash. She's doing just enough to stay out of trouble, pretending to be continuing her father's mysterious research while away for long periods of time. Her slimy boss is always asking questions and even assigns one of her younger brothers, Vel, to intern with her. 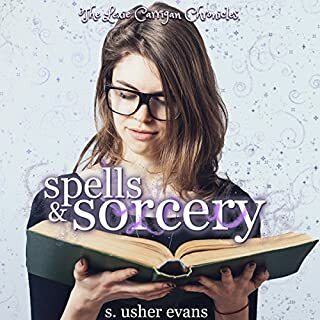 Already struggling to keep the balance between her double lives, she tries everything to rid herself of the kid...until the universal police mistake Lyssa's intern for Razia's hostage. Space pirates? So much fun. Both audio and written versions. A great beginning for a series. I can't wait for more of this series, I want to say more about this story but I absolutely hate spoilers, so I won't do it to you by going into details. 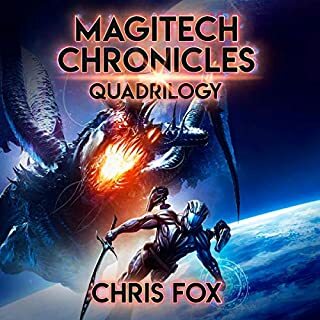 Witty, Wonderful characters, Page-turner, Great world building, Unpredictable, Original, Easy-to-read/listen, Entertaining, Action-packed, Funny. adventure, angst, dystopian, futuristic, humorous, mystery, outer-space, pirate, science-fiction, series, suspense. I found this book somewhat boring and dull. The characters aren't interesting and the story fell flat for me. The narrator was ok but couldn't do voices and was terrible at male characters. Yes! It was exciting, had great characters, had an awesome story, and an excellent narrator. Lyssa/Razia she's sarcastic and prickly, but is protective of those who matter to her. When Razia goes to the pirate club. When Lyssa goes back into Leibman's Vortex. What would have made Double Life better? I found the story in the book to be very one-dimensional. Lyssa and her alter ego Razia are different personas, but these two characters themselves are flat. There isn't much intrigue or nuance. And Razia's adventures are not exciting either. And Lyssa herself isn't very likable. After running with these two characters for time, I lost interest in them. I'm not a writer, but I would've wanted the characters to have layers and different shades. What didn’t you like about Jennifer Baggiero’s performance? Jennifer has a high pitch voice which is fine by itself. But when she voices male characters, that sticks out like a sore thumb. Those parts were kinda annoying tbf. I liked Lyssa's backstory; how she was mistreated by family and how she became the way she is now. That part really resonated with me because I know of someone similar. I voluntarily received a free copy of this book from the author / narrator / publisher and I'm leaving an unbiased review. I kind of liked this one... It was kind of Ice Pirates but less silly (I loved Space Pirates, by the way, so that's totally not a diss). My only complaint was that the narrator's voice was kind of boring and she didn't do male voices well. I upped the speed to 1.5x and that actually helped. 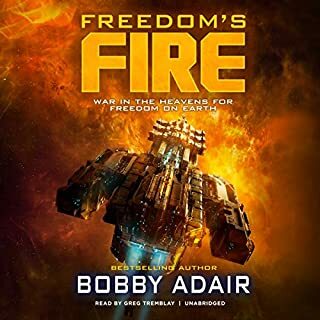 For the record, another reviewer suggested that and I this was the first time I tried that on an audio book and found myself surprised that it did actually help. 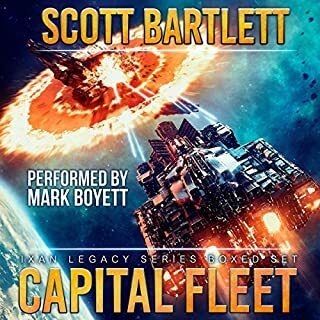 I think this would be better being read than listened to, but if you really like sci fi, up the speed and you'd be fine. 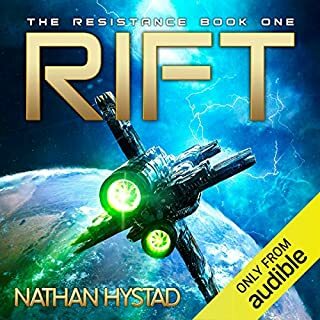 I thought this audiobook was quite entertaining and it held my attention. I liked the characters and the ending was good. The narrator did a good job, but the high pitch for some of the men's voices were a little annoying. I look forward to the next in the series. 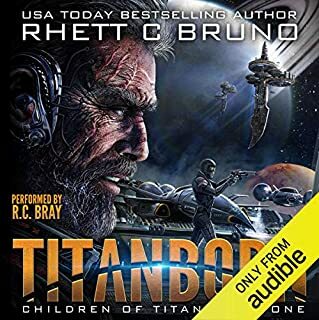 I voluntarily reviewed this audiobook after receiving an advanced listeners copy. Really enjoyable listen. Who doesn't love space pirates?! Great pace, no lulls or drags. Fun story and characters. My one complaint would be the female vs male aspect. You'd think in an age where we have space pirates and new planet exploration, gender would no longer be an issue. But hey still a great fun story. I may have found a new genre to love. Previously I've only run across space pirates as Han Solo and his spiritual descendants like Firefly. This felt entirely different. Sci-fi/fantasy has a lot of common pitfalls and Double Life avoided them all skillfully. It was a good length: neither long and self-indulgent nor too terse and unengaging. The world was interested and developped without becoming the central figure itself (I'm looking at you Ringworld). The characters, esp Razia/Lyssa, were interesting and developped. I really enjoyed the narration and it kept me engaged always. My only complaint is that it was far too slow, but at 1.5x speed it was perfect for me. Obviously a skilled voice actor and I can't wait to hear more from her.